Where's the best place to plan your Florida vacations? Check the hotels Vero Beach has to offer and don't forget to check the smaller hotels in Vero Beach. Sea Spray Inn is one of those that lies east of A1A. The hotels on the barrier island are all within walking distance of beaches that have lifeguards and beaches that you can be alone on. Whether you are looking for a romantic getaway or are interested in a Florida family vacation you can find either one here on the Treasure Coast. The Treasure Coast is the area of Florida south of the Space Coast, by Kennedy Space Center, and north of the West Palm Beach area. This area is less crowded than either of those. 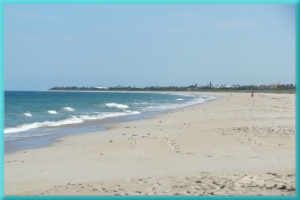 You can literally walk for miles on the beaches in Vero Beach. Some days you will find a multitude of shells of many different varieties. If you come to the beach early in the morning you will see tracks where sea turtles have come up onto the beach to lay their eggs. The beaches here are great for swimming and when the waves are right, surfing. This is also an area where many people come to surf fish for Pompano and other species. We are located next to South Beach Park which is a city park for access to the beach. The park is divided into two parts. Near the parking areas you have grassy areas, picnic tables, barbecue grills and public restrooms. In order to get to the beach you take one of three boardwalks through the jungle growth for about 50 yards to get to the sand. The beach here is the widest sand beach in the area. Even at high tide there is probably close to 60 yards of sand between the jungle area and the water. At the next park north, about 1 mile, at high tide there is less than 10 yards of sandy beach. While not great beach for high tide sunbathing it is a very nice shopping area. The old downtown area is a very nice shopping district. It is full of a wide variety of shops. 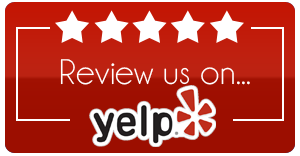 With homemade candy, high-end jewelry, great clothing stores, a quality linens shop, a great kitchen shop and many more you are sure to find what you want and probably something you weren't even looking for. The Island also has some of the best restaurants in the area. 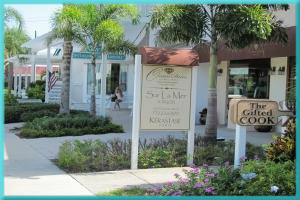 Although this isn't the only area to shop in Vero Beach it is one of the nicer ones. There is also the Miracle Mile which is just over the bridge on the mainland just off of Route 60. Then if you continue west on 60 you will find all the big box stores you could want and a huge indoor mall. The Vero beach area also has museums, a great Theater, several State Parks, a national wildlife refuge and really nice Botanical Garden. There is also great golfing and deep-sea fishing can be chartered. So whatever you are planning for your Florida vacations check the hotels Vero Beach has available and especially the Sea Spray Inn. If you want to be centrally located but in a quiet area with 4 great restaurants nearby this is the place. Call us to make your Reservation or click the image of the shopping district to book online.